USB Audio Class 1.0 and 2.0 DAC Device Driver is a MEDIA device. This driver was developed by C-MEDIA Inc.. The hardware id of this driver is USB/VID_22E1&PID_C001&MI_00. 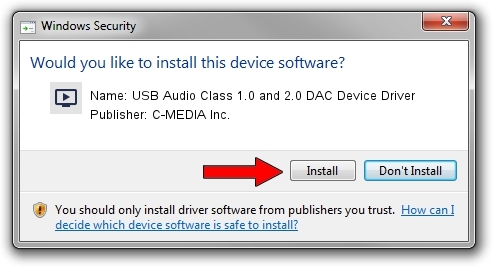 Download the driver setup file for C-MEDIA Inc. USB Audio Class 1.0 and 2.0 DAC Device Driver driver from the location below. 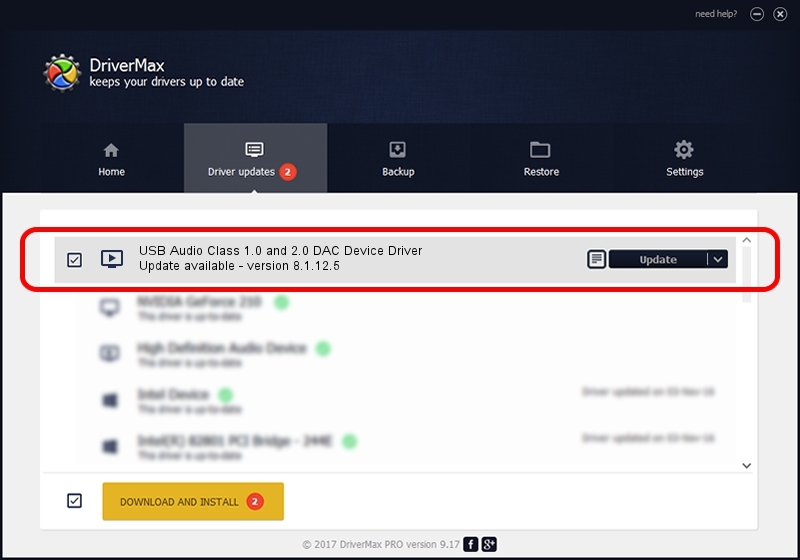 This is the download link for the driver version 8.1.12.5 released on 2014-08-21. This driver was installed by many users and received an average rating of 5 stars out of 42333 votes. Take a look at the list of driver updates. Scroll the list down until you locate the C-MEDIA Inc. USB Audio Class 1.0 and 2.0 DAC Device Driver driver. Click on Update.